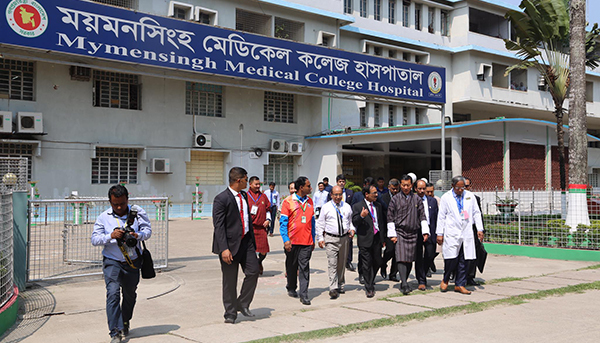 Prime Minister Dr Lotay Tshering’s visit to one of his former colleges in Bangladesh, the Mymensingh Medical College inspired both Bangladeshi and Bhutanese students. He visited the college after almost 20 years since he graduated with his medical degree. It was like a homecoming for the prime minister. He travelled from Dhaka to Mymensingh on a 40-minute helicopter flight just to see his college on Sunday. As the prime minister entered the auditorium, the audiences who have been patiently waiting for the moment burst out clapping and cheering. He shared some stories from his college days in reminiscence. There are currently two Bhutanese students in the college. Lyonchhen met with them after the formal gathering. “Not just the two of us, the whole college was really excited when we heard the prime minister was going to visit our college. So, it’s been a very memorable moment for all of us,” Lhaden, one of the medical students, said. “As medical students, we face lots of problems but by listening to his speech, I felt like those problems are nothing and we need to be strong and give our best. 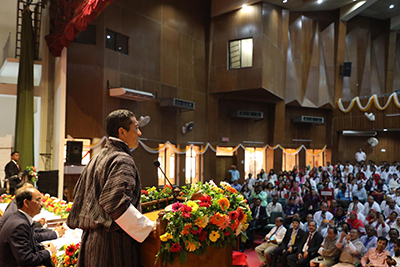 Also, through his speech, he taught us to be a good human being first before becoming a good medical expert,” Kinzang Choden, another student, said. Later, the Prime Minister also met with his former batchmates for a reunion event. They shared their stories and memories they had with the prime minister. “I am delighted. I feel honoured that one of my batchmates who received lectures with me has become the Prime Minister of Bhutan. All of us have built our careers but he has the best of us. Today, I have learnt from him that even though he is the prime minister he still operates and gives his medical service to the people. This is a sign of a great human being,” Dr Zainal Abedin Tito said. The prime minister’s homecoming story will go a long way in inspiring students to become leaders but more importantly, good human beings.